VANCOUVER — Up for a little March Madness? How about a little March Madness, poli-sci-geek style? 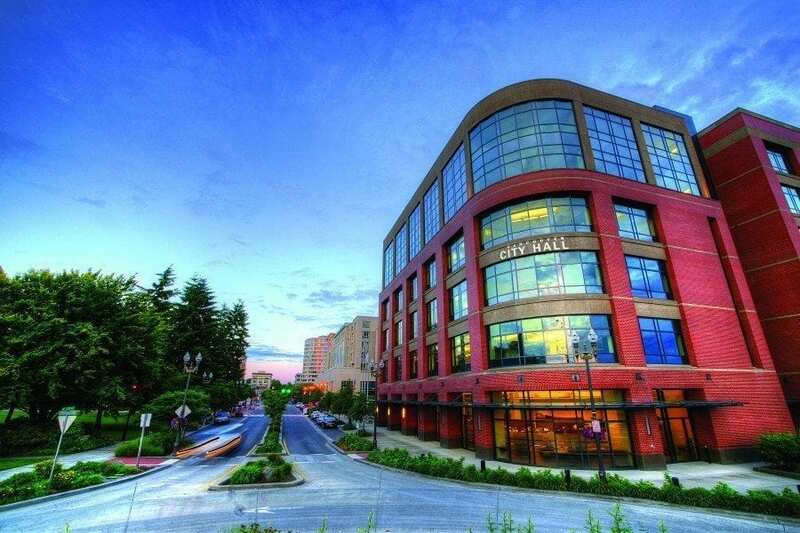 If you answered “yes” to that second question, you might be interested to know that Vancouver City Hall is one of the “Final Four” in the annual Engage Local Government Leaders (ELGL)’s City Hall Madness tournament to find the nation’s best city hall building. The stakes — at least for local government junkies — are pretty high. The winner gets the coveted Leslie Knope Greatest City Hall trophy, named for Amy Poehler’s fictitious character in the NBC show “Parks and Recreation,” who was best known for her over-the-top enthusiasm for all things related to local government, and they also get bragging rights for besting 63 other city halls across the country. The tournament kicked off in late January with 64 city halls competing for the Leslie Knope Greatest City Hall award. By Feb. 13, the Sweet 16 were battling it out and the week of Feb. 20 showcased the Elite Eight. Now it’s down to the Final Four: Vancouver vs. Little Chute, Wisconsin and Pasadena, California vs. Peoria, Illinois. The top two will compete in the National Championship during the week of March 6. Want to help Vancouver’s chances? 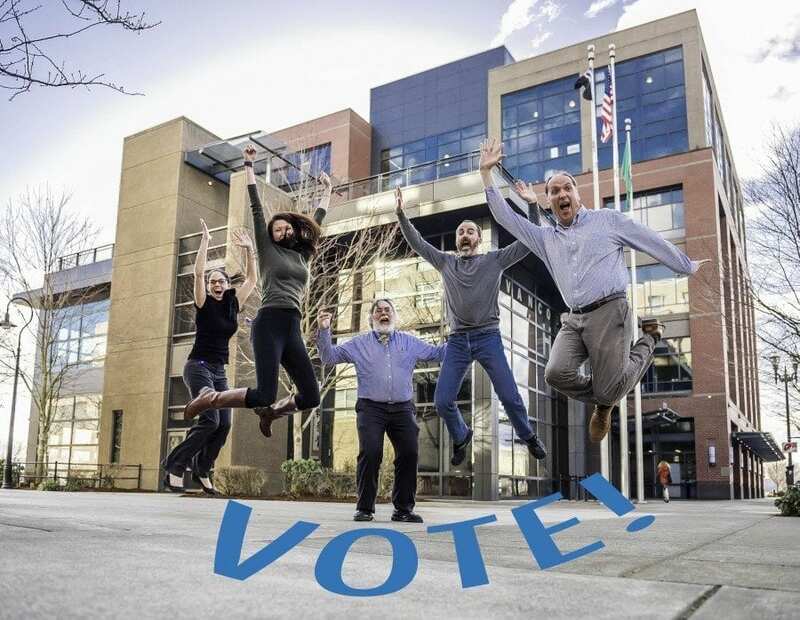 There’s still time to vote in the Final Four: You have until 8:59 p.m. PST, today, Fri., March 3, to cast your vote at bit.ly/votevanwa. As of Thursday afternoon, March 2, Vancouver had a tiny edge over Little Chute with 5,770 votes to 5,732 votes.